Police nab man in Illinois accused of harrasing women in Connecticut and New York. When Randall Mason’s girlfriend ended their relationship, the harassing calls began, police said. The threats led the victim to being fired and led police to capture a man they believe is a serial harasser. The Greenwich woman called police when she became fearful for her safety, Greenwich police said. Police soon determined that Mason, 28, had a history of meeting women on Craigslist and, when they ended the relationship, he would harass them, the Greenwich Time reports. Police believe there are at least six victims, mostly in Connecticut and New York. "All the women were the same age and had the same physical descriptors," Sgt. Michael Reynolds told the Time. "He has been very consistent with what he does." Mason and the victim lived together in New York City for several months before she ended things. Then, she left New York and moved in with her parents in Greenwich. There were Internet threats and text messages, police said, and Mason allegedly threatened serious bodily harm, the Time reports. He is also accused of harassing the woman’s employer. The threats were so “intolerable,” she was fired, the Time reports. "This was initially classified as a domestic violence case, but we realized during the investigation what his background was," Berry told the newspaper. "Our investigation yielded two separate warrants and we quickly developed information that he was out of state." Police told the Time, they believe Mason left the state and went to Chicago last year to avoid the charges. On Aug. 5, authorities in Illinois arrested Mason. On Wednesday, Greenwich police brought him back to Connecticut. On Thursday, he was arraigned on threatening and harassment charges in Stamford Superior Court on Thursday. Mason has a criminal history that dates back to 2001, including convictions for larceny and identity theft, the Time reports, citing court records. In 2005, he served 18 months in jail, records show. Court records show that Mason was also charged with third-degree identity theft, third-degree larceny and violation of probation. 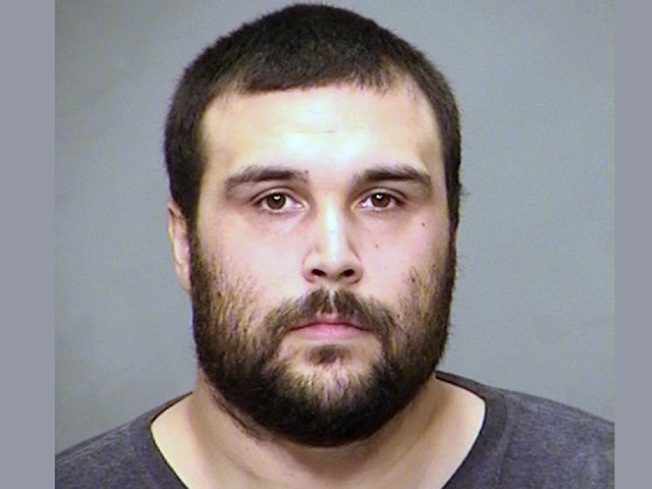 Lt. Richard Cochran, head of the domestic violence section, told the Time that it seemed that Mason had "hooked another victim" in Illinois when he was taken into custody. "None of these women had any idea what they were dealing with," Cochran told the newspaper. Mason is being held on a $225,000 bond. He is due back in state Superior Court in Stamford on Aug. 24.